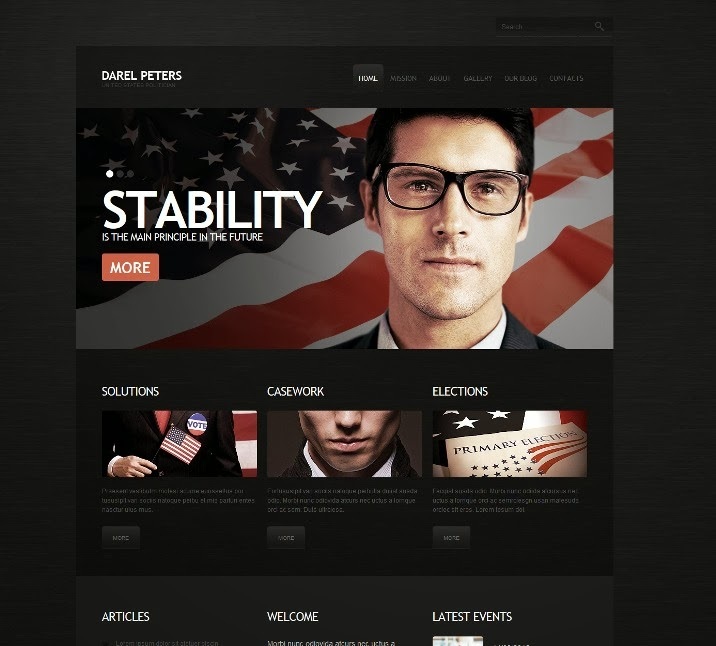 Best Collection of Free and Premium Political WordPress Themes 2014. 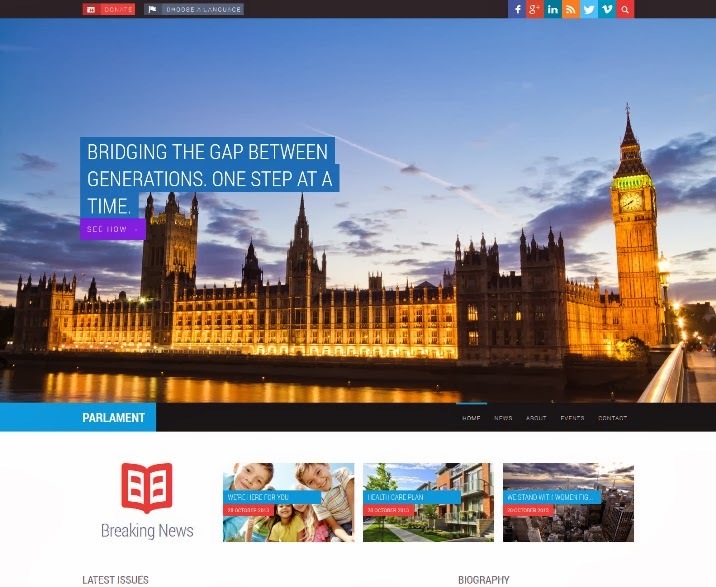 Parlament is a political WordPress theme which features a highly interactive and retina-ready design, fully responsive implementation and a focus on user experience, usability and performance. The theme also features a flexible design, top notch support and I think it’s safe to say that is one of the easiest and most intuitive to use political themes on the market right now. 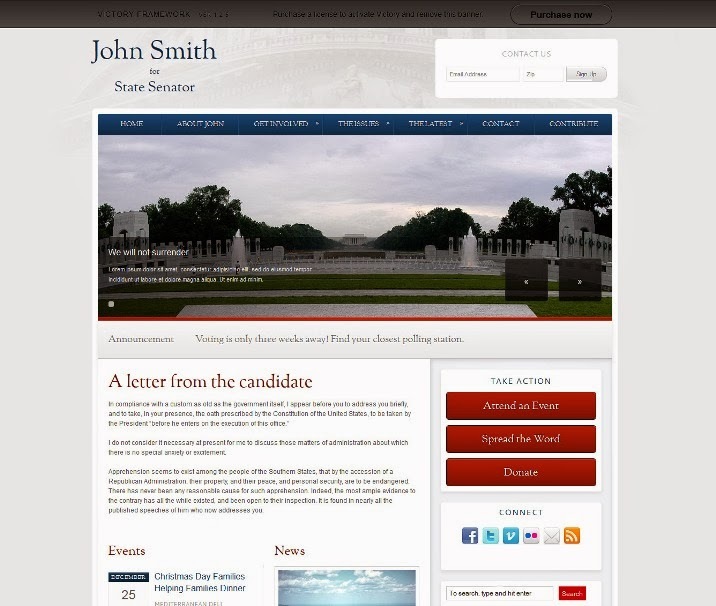 The template is created specifically for a political candidate to use in his election campaign. The technical side of the product opens a lot of useful features, such as the election timer, widgetized areas and close integration with the social media. The wide content area just supplements the appeal of big fonts on high resolution image of the candidate. 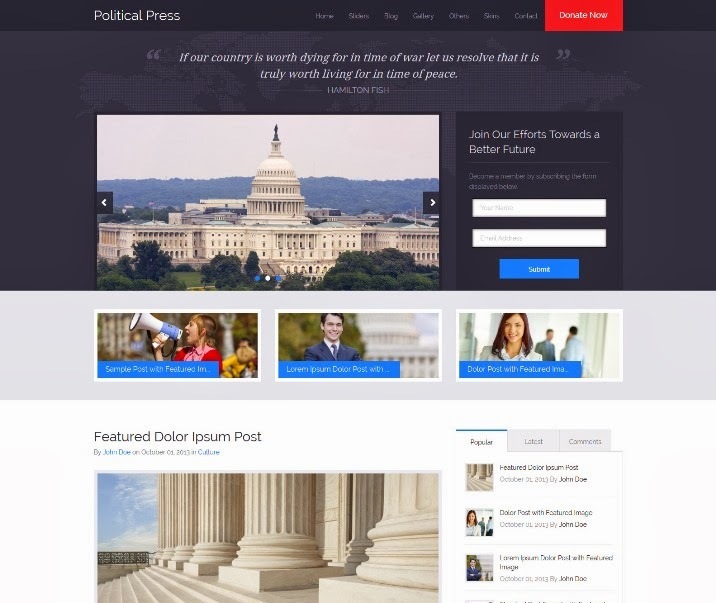 Political Press is a purpose oriented WordPress theme for politics related websites and blogs. 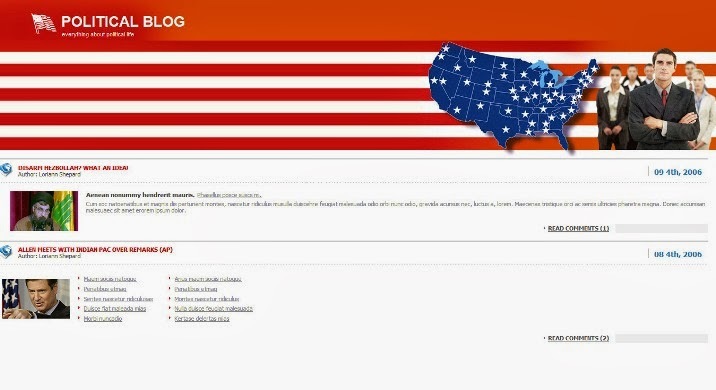 Political Press theme’s usage is not limited to creating a political candidate campaign website and it can be used for other websites or blogs related to politics. 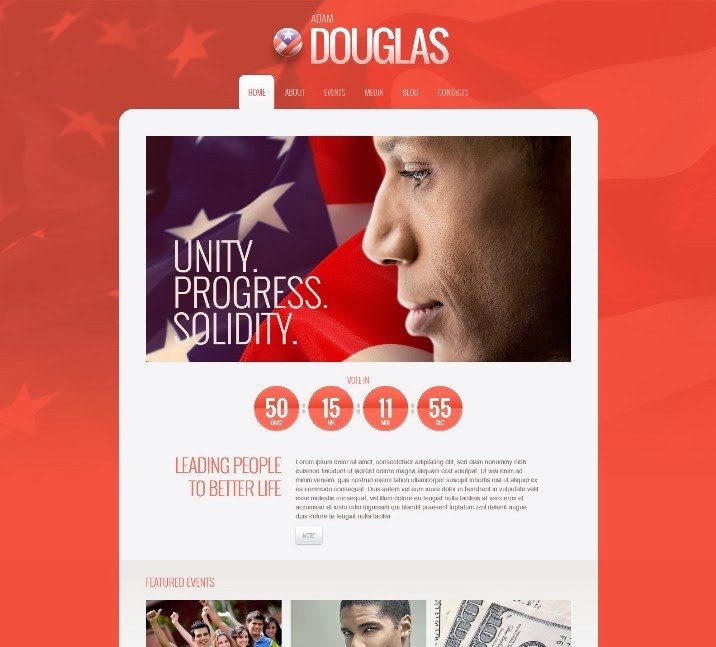 The Campaign Theme is built with flexible widgets that can give you a fully customizable content management system. With blog feeds, news updates and Twitter integration, the Campaign Theme is a simple and attractive layout that will appeal to your audience. 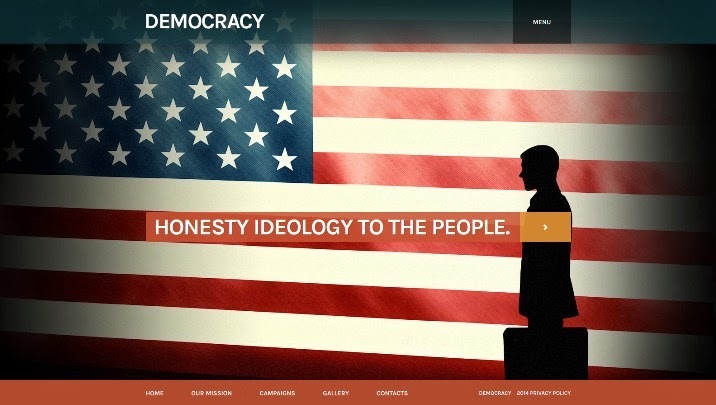 Democracy is a Political Party WordPress Theme. 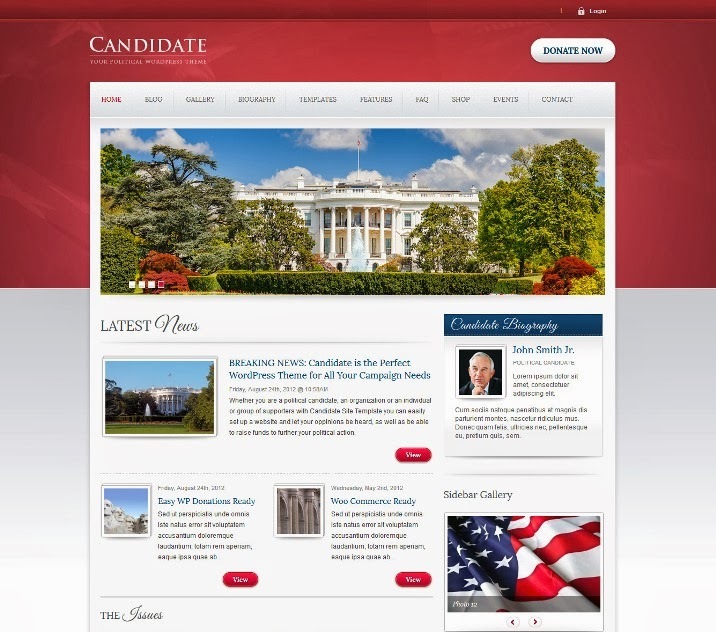 Candidate is a WordPress theme designed specifically for political and public figures. 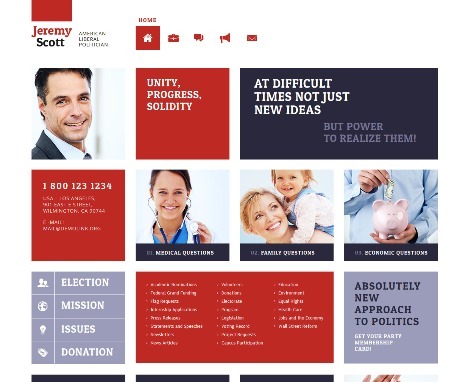 Drawing inspiration from the modern political arena and experience in building politically themed websites this design is flexible enough to fit any political option and social issue. 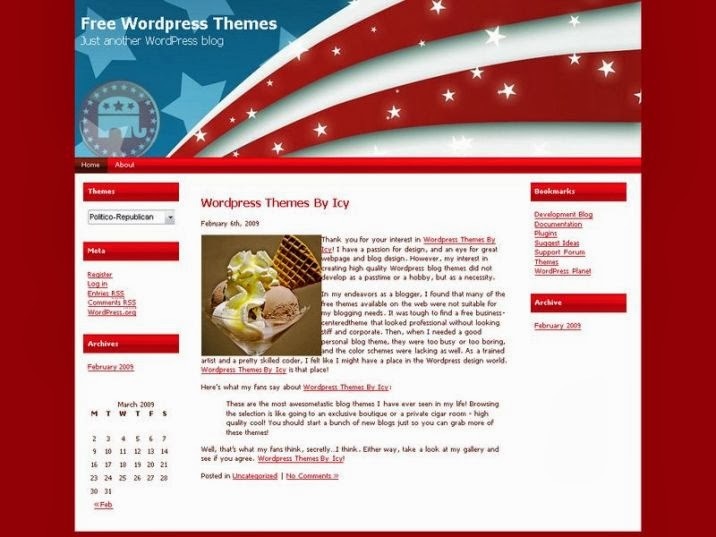 Jeremy Scott is a Political Candidate Responsive WordPress Theme. Features: Advanced Theme Options, Custom Page Templates, Drop Down Cart, Dropdown Menu, Google Map, Google Web Fonts, Search Engine Friendly, Social Options and more. 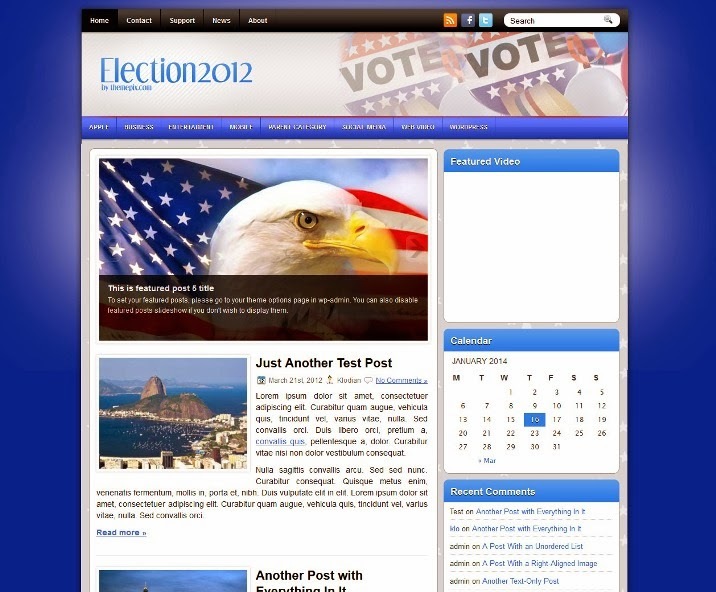 Election2012 is a free 2 columns WordPress theme with Option/Admin Panel, featured posts and post thumbnail image. Suitable for political blogs. 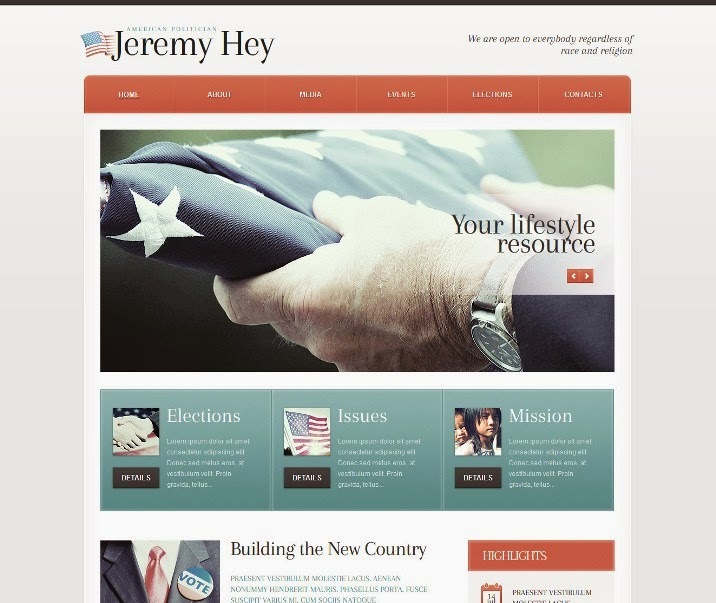 Jeremy Hey is a Political Candidate WordPress Theme. 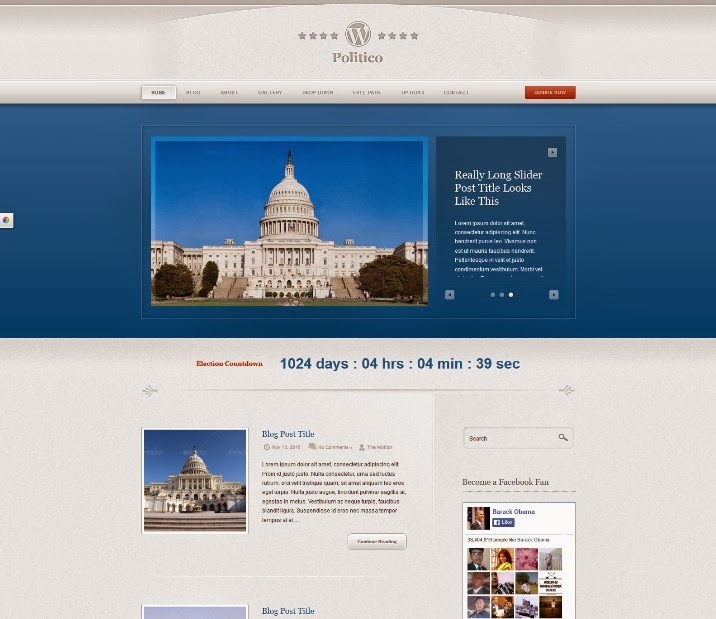 Politic is a Campaign & Political WordPress Theme. Politic is meant to make you look good, professional and make you stand out as a trusted candidate for the people. This theme is definitely fast, with a rating of 87/100 on Google Pagespeed, which is just a proof of the fact that this theme is also SEO optimized. Features are SEO Optimized, Custom background image, 31 widget positions and 9 styles and more. 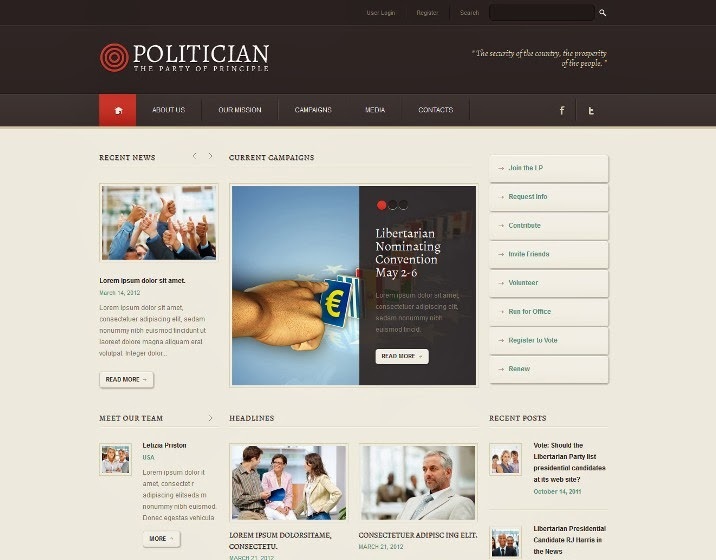 Politician is a Political Party WordPress Theme. 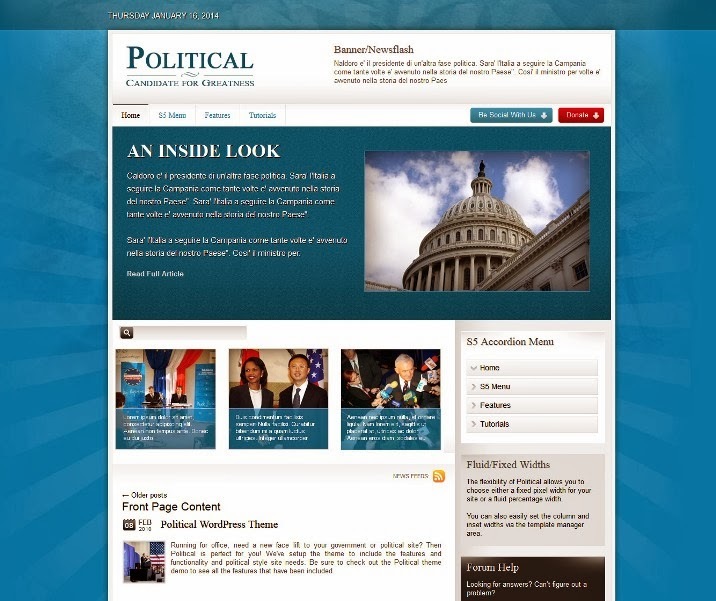 Politico-Republican is a Free Political WordPress Theme. 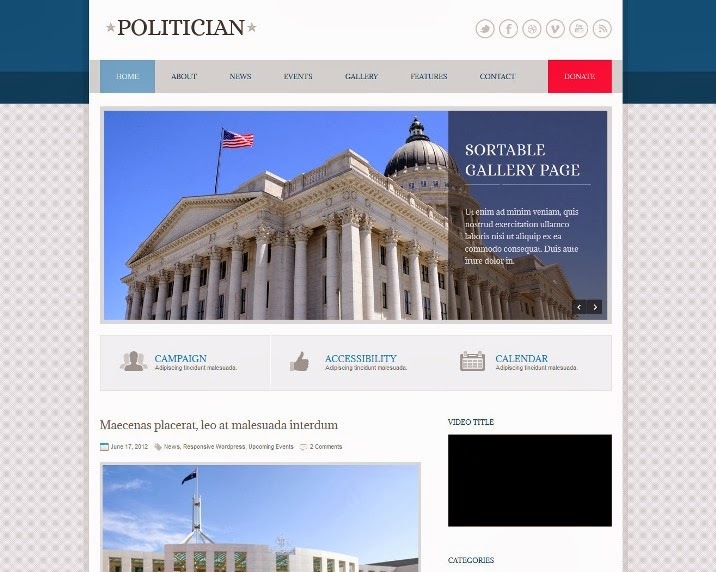 Politician Responsive WordPress Theme uses a great deal of white/dark space to create a clean feel to this site. The elements of this web design are nicely spaced out to create a clean overall design. The light/dark background and elegant typography combines to make a very fresh design. 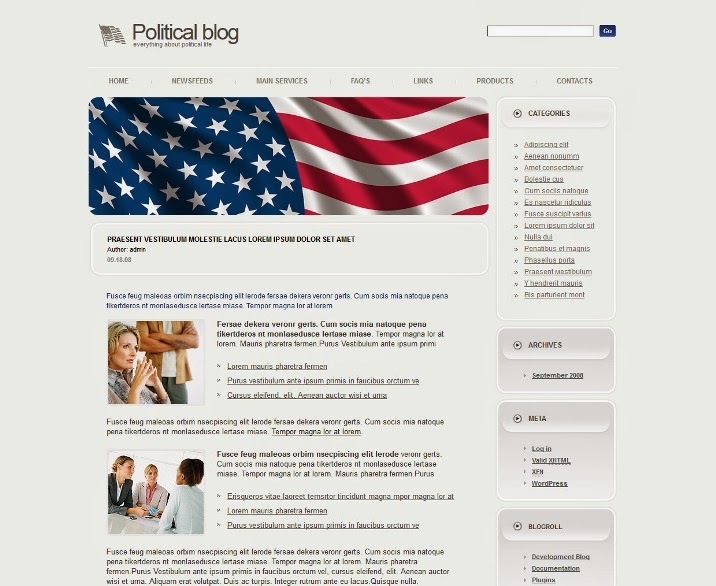 Political blog is a Political News WordPress Theme. 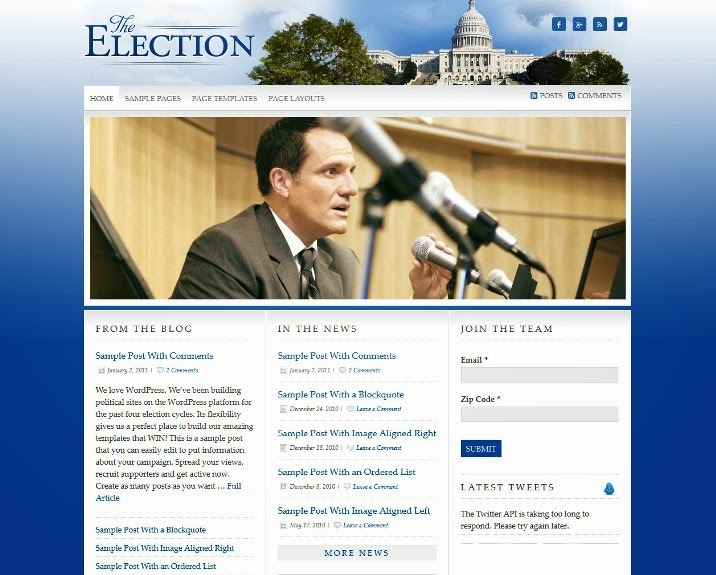 Election Theme has an attractive layout that can showcase your blog, news, social feeds, and volunteer recruitment forms. This is a full content management system for any size campaign or organization. 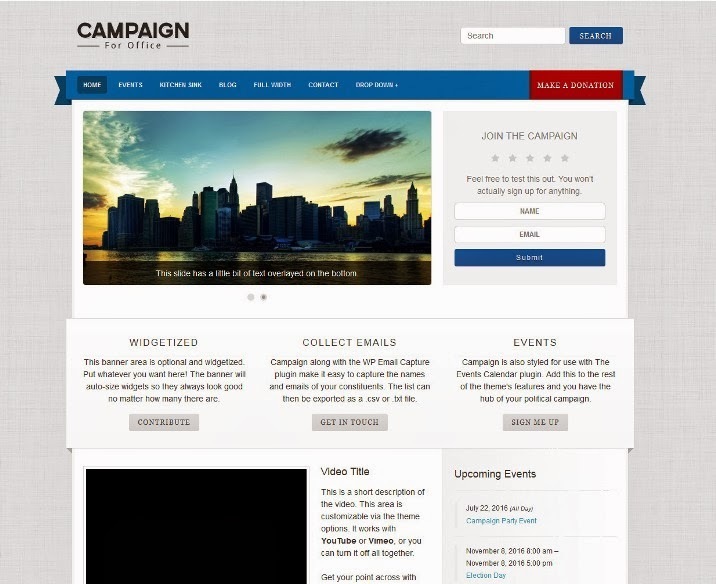 Campaign is a theme that’s made to help you win in your political race and be the hub of your campaign. It’s built with the WP Email Capture plugin (both the free and premium versions) in mind to collect names and emails of your constituents and The Events Calendar plugin to display all of your upcoming events. 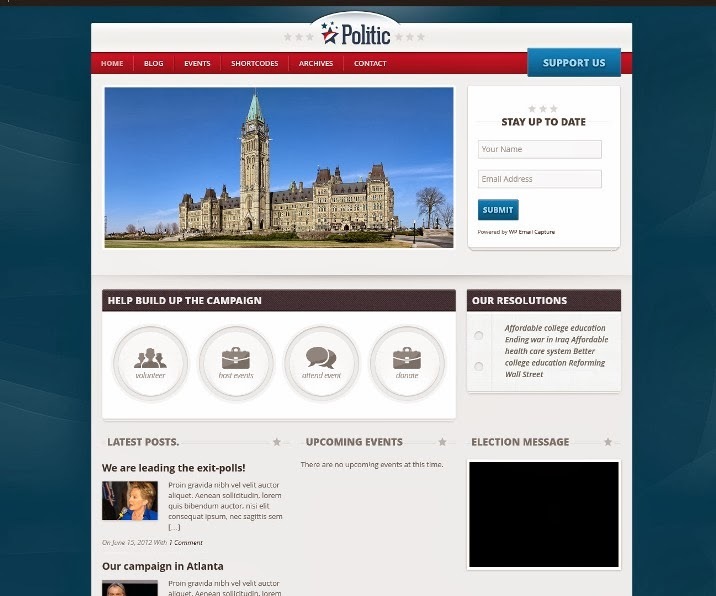 WordPress Politico is ideal for political campaign sites. The slideshow is great for drawing attention to important issues or promoting a candidate into office. 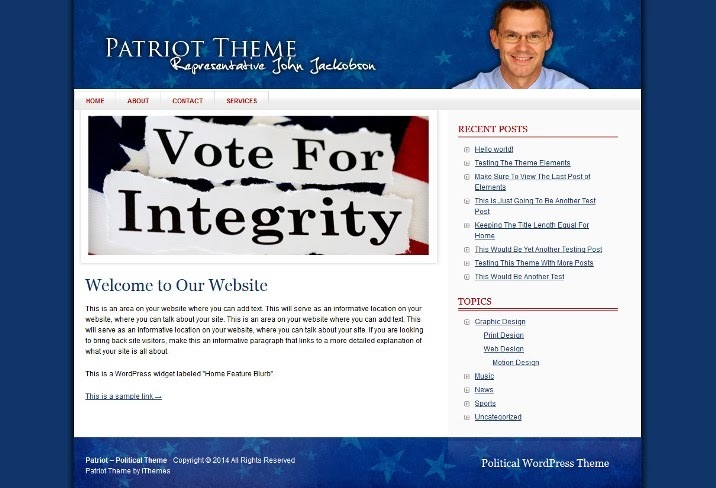 Patriot is a WordPress theme designed for political websites that’s great for politicians and political organizations. Look Nice but all are paid. Awesome political themes. Thanks for sharing.